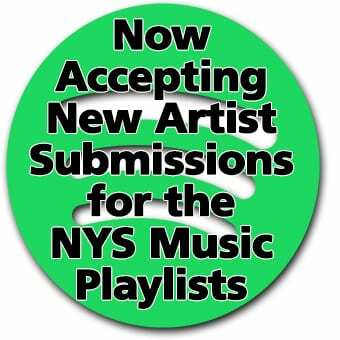 With a wide ranging variety of music across the state, New York has an intense amount of bands releasing music each year, much of it recorded in New York State. Whether it was recorded at in Syracuse at Subcat Studios, at Albany’s Overit Studios, New Paltz’s Castle Studios, or Dreamland Recording in Woodstock (among the numerous options around the state), these albums from homegrown artists reflect the diverse music being produced right at home in New York. Dopapod may be taking 2018 off, but they left a fantastic album for fans prior to their year long hiatus. After their Fall Tour closing show in Syracuse this past Saturday, the band gears up for two final shows – December 30 at Fete Music Hall in Providence, and December 31 at Paradise Rock Club in Boston. Catch em while you can, because these NYS Music faves won’t be back until 2019! Ithaca’s Big Mean Sound Machine is no small touring band. Nine members have been storming the Northeast for the past few years, and their fan funded album Runnin’ for the Ghost served as a catalyst for the group to launch outward in 2018. “Known for throwing some of the sweatiest dance parties in the Northeast, Big Mean Sound Machine has been ambitiously touring and working hard to welcome new followers with no plans of slowing down. The new fan-funded album, Runnin’ for the Ghost, is just one example of how relentless experimentation on the road can lead to something positive and fruitful in the studio.” Read more of Ben Boivin’s review. Eli Stein said of the jam happy foursome “On All Points North, the new album from Albany jam-rockers Formula 5, ‘North’ is not a physical direction, but a mental state. North is up, and up is good.” Read more and don’t miss Formula 5’s final show of the year at DROM following Phish on December 30. Folkfaces have had a great year – they were one of the founding bands of NYS Music 87/90, they had a relentless Summer Tour, and released How Long back in April. Buffablog said of the album “From the back-country banjo charm of “Institution Blues,” to the rowdy foot-stomping pandemonium of album opener “Arrows We Break,” right on down to the sultry jazz elements of “Indian Lake,” there is something for everyone on this record. No matter what your poison, it is served with a smile on How Long. Readers loved The Other Brothers Jones, and why not? Their dedicated fans sold out their album release show at American Beauty in September. Check out our recap. Aqueous has had a monster year, including signing with Nugs.net and releasing not one but two live releases in the form of their Element series. Stream these jam favorites below and pick up the album at their Bandcamp store. The evolution of Mike Gordon’s side project has been a delight to watch over the past decade. The current incarnation of Mike Gordon Band straddles the line between Phish’s jammy goodness and Mike’s inherent weirdness. Tracks like “Marissa” and “Crazy Sometimes” have made their way into Phish’s rotation this year and OGOGO was well received on Mike’s recent fall tour. When you are named the greatest living rapper, you expect greatness. That’s exactly what DAMN. delivers. It ended the year as the #1 album on Billboard, and was nominated for Best Rap Album and Album of the year, which is Lamar’s third consecutive album to be nominated for the honor. Boston’s heavy jamband lespecial produced a winning album in Cheen, released this past Halloween. Read more in our review, that said ‘lespecial has spent several years cultivating a dedicated fanbase with a sound that cleverly interweaves psychedelia, technical math-rock, metal, electronica, and a tribal influence that feels like it comes from deep in the jungle. The entire album has the coherent flow of a concept album, with its many themes seeming to bleed effortlessly from one song to the next. No surprise here – Dopapod was a staff favorite, enough to be selected as album of the year nationwide. Australian Psych rockers King Gizzard and the Lizard Wizard produce a style of rock that is as unique as their name. They’ve produced 12 albums in the past five years, with Polygonawanaland their fifth of 2017 alone. Stream the full album below and discover the weirdness within. 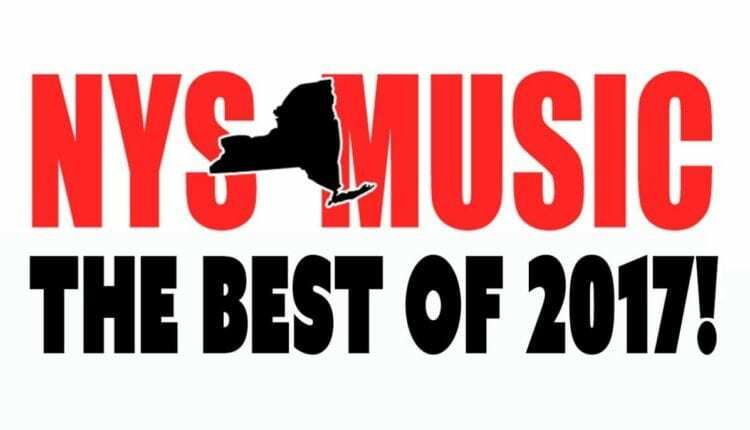 NYS Music’s readers were on the same page with us. There’s no denying how great Megagem is. Kendrick’s conscious rap received rave reviews from media outlets around the country. It’ll be a surprise if he doesn’t win top honors at the Grammys in January.